In many ways, McGrath-Phillips Arena is a glorified high school gym. From the pull-out bleachers lining two sides of the court, to the electronic scoreboard instead of a Jumbotron, to banners honoring All-Americans and team championships lining the white-brick walls instead of exclusively hanging from the rafters, the setup feels a lot more like what you’d expect at a prep basketball game than at a college basketball event. 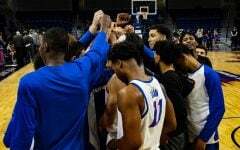 However, with Wintrust Arena playing host to several private events, the Blue Demons have relied on McGrath-Phillips Arena to host their home games for the College Basketball Invitational tournament. 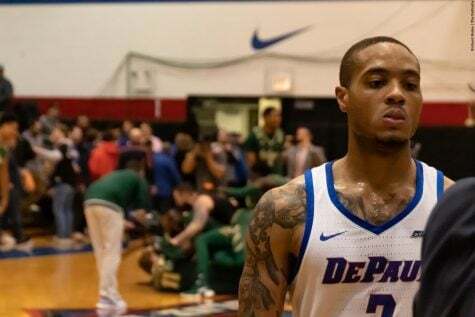 The cozy, intimate nature of the old Lincoln Park gym created an endearing atmosphere and a transparent home-court advantage for the DePaul Blue Demons throughout CBI play. 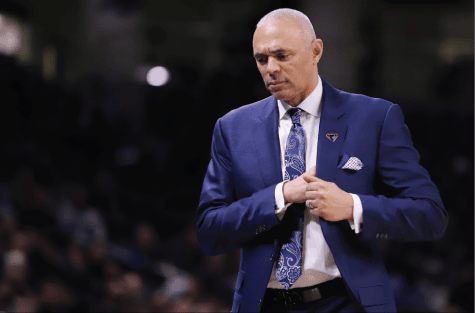 “Our fan base is phenomenal,” Blue Demon head coach Dave Leitao said after DePaul defeated the Central Michigan Chippewas on March 20. 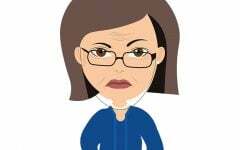 “They turned out in droves, they were loud. It helped our guys, when we made consecutive shots, when we went on runs you could feel it in the gym. It was tremendous. I give all the credit in the world to the fans for turning out. 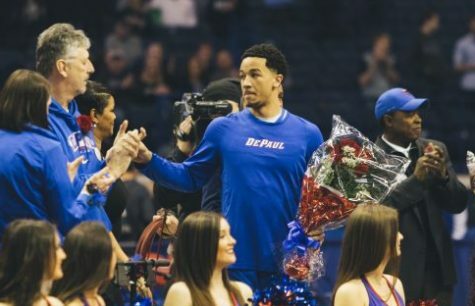 DePaul basketball has endured well-documented attendance problems since opening Wintrust Arena in October 2018. The smaller CBI crowds that the cavernous Wintrust Arena would have swallowed up fit much better at McGrath-Phillips improving the aesthetic by eliminating the visual of all those empty seats. A crowd of 1173—like there was for the Blue Demons matchup against the Central Michigan Chippewas—fits a lot nicer in McGrath-Phillips Arena than it would have in the 10,387-seat Wintrust Arena. 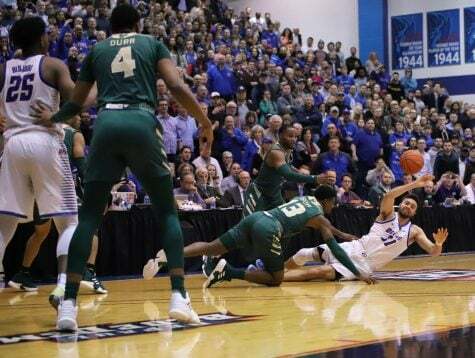 An even sparser 939-person crowd that showed up to watch the Blue Demons battle Coastal Carolina on March 27 would have looked awful spread out among the sea of blue Wintrust Arena seats. In the first three rounds of the CBI there were still empty seats at McGrath-Phillips Arena, but it neither looked as bad as it would have at Wintrust nor affected the atmosphere much. 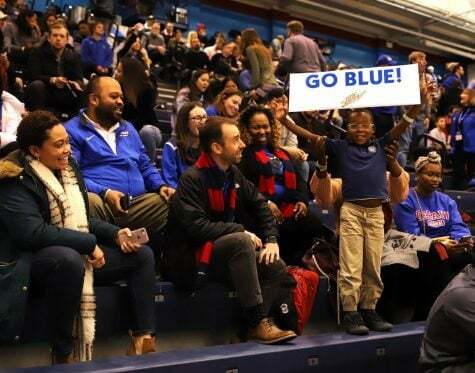 “It was loud, but to be honest I was underwhelmed at all of the open seats [McGrath-Phillips Arena holds about 3,000 people at full capacity],” DePaul fan Joe Breslin pointed out. But once championship time rolled around against South Florida, McGrath-Phillips Arena wasn’t only just packed with students and fans but it become a raucous environment as well. 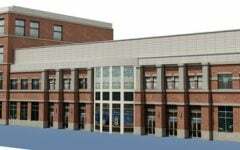 The smaller, more compact facility that McGrath-Phillips Arena offers also means the smaller crowd becomes louder. The trombones and trumpets of the Screamin’ Demons Pep Band resonate louder. Everyone in the building can hear the cheerleaders and dance team. The crowd becomes more of a factor and the players notice it. 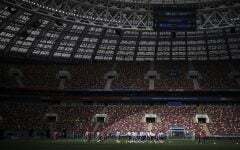 It’s simple acoustics, players can hear fans better in a smaller building and both parties feed off the other’s energy. 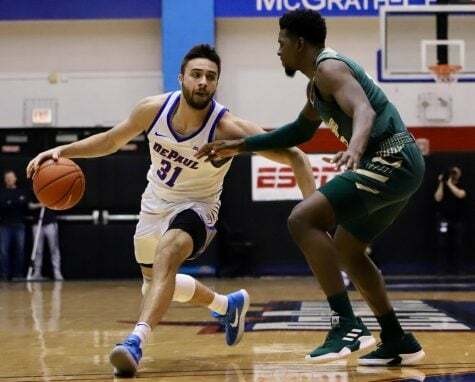 Other Blue Demon players offer similar assessments. 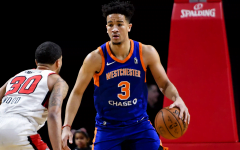 Strus likes playing at McGrath-Phillips for another reason. 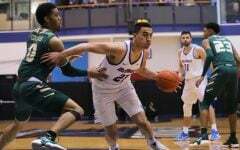 In the five CBI games that Strus played there, the 6-foot-6-inch guard averaged 28.6 points per game on 45.6/32.4/95.72 shooting splits. 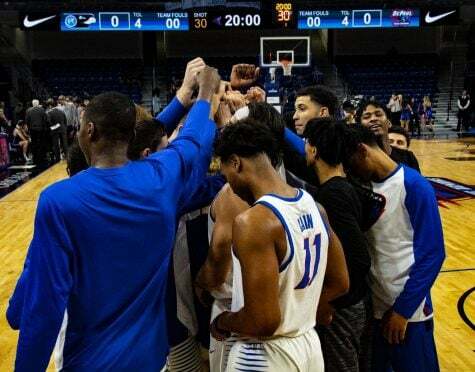 During the Blue Demons’ win against Central Michigan, a peppy student section tormented Chippewa star guard Larry Austin with chants of “Loser Larry” throughout the game. 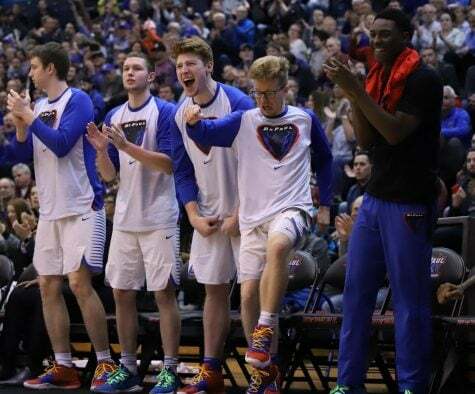 Austin appeared rattled, gesturing at the student section when he did make a basket as if to say “I told you I’m good.” The jeers were particularly intense when Austin shot free throws, leading to a 4-for-10 day from the line from the already bad free-throw shooter. Fans have found many ways to create a memorable atmosphere throughout the CBI tournament. The Screamin’ Demons Pep Band, usually at the forefront of any cheer, began wildly yelling “Shabooty” when the public address announcer introduced Longwood Lancers guard Shabooty Phillips. 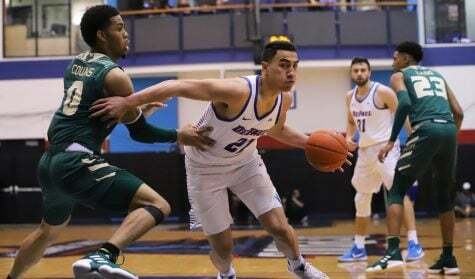 DePaul fans laid a Bronx cheer upon Coastal Carolina forward Josh Coleman when he botched an easy layup and repeatedly chanted “soft” at several Chanticleers players after touch fouls. 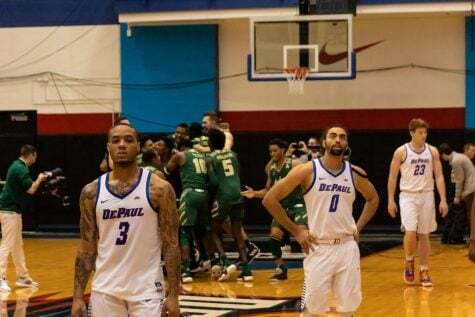 McGrath-Phillips turned into a madhouse of shouts, cheers and everything in between as DePaul fended off Longwood down the stretch. 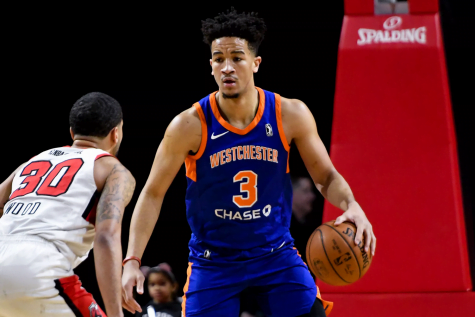 The decibel level in the building was even higher against Coastal Carolina after Strus crossed a defender over and finessed in a circus layuphen, Paul Reed slammed in an alley-oop shortly after. 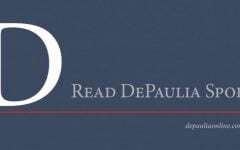 After investing heavily in Wintrust, DePaul isn’t suddenly going to pivot and move permanently into McGrath-Phillips. 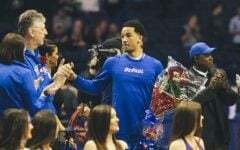 But the atmosphere McGrath-Phillips has delivered throughout the CBI is the type of home-court advantage the Blue Demons hope they can enjoy someday at Wintrust Arena on a nightly basis, no matter the opponent. 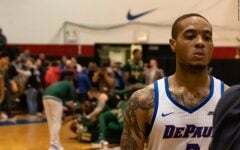 As for now, scheduling conflicts that prevented Wintrust from hosting CBI games are looking like one of the happiest coincidences of the Blue Demons 2018-2019 season.